The Jeep Compass has been one of the most successful world-class premium SUVs on sale in our country. 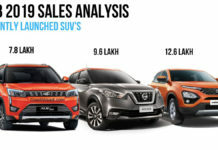 The FCA-built 5-seater SUV has been so popular that it has not only attracted some buyers away from the cheaper Hyundai Creta but has also stolen some of the limelight from the more premium and more powerful Jeep Compass. 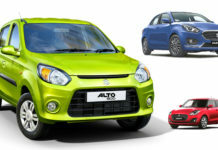 But all this could soon stop with the launch of a new flagship product from Tata Motors. Dubbed as the Tata Harrier, the new SUV will be the production-spec H5X concept SUV that was showcased at the Auto Expo 2018 earlier this year. 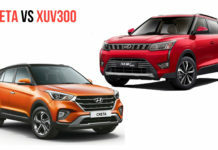 While it’s for sure that the new model will be a tad costlier than the Hyundai Creta, we’re quite sure it would be cost lesser than the Jeep Compass. 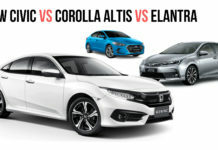 Hence, it could end up becoming a strong rival to the Jeep model. Here’s our Tata Harrier vs Jeep Compass comparison review to help you find out a winner between these two models by their prices, specifications, mileage, dimensions, etc. 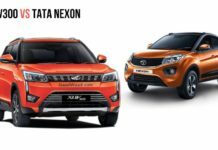 The new flagship SUV from Tata Motors is likely to cost significantly lesser than the Jeep Compass. In comparison to the latter’s starting price of INR 15.39 lakh, the Harrier could cost just INR 13 lakh. The top-end version of the latest Tata SUV should cost no more than INR 18 lakh. In comparison, the fully loaded version of the Jeep Compass costs INR 22.89 lakh. Hence, the H5X-based model should have a clear advantage in this aspect. While it’s true that the Tata Harrier might miss out on a four-wheel-drive option and might even fail to offer the high fit and finish of the Compass, it’s JLR-sourced underpinnings should give it a clear advantage. Even the engine for the Harrier will be the same as that of the Compass but in a slightly lower state of tune. 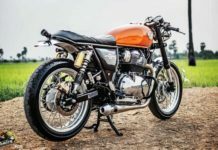 While the new Tata flagship might end up missing out on some features that the Compass offers, it will still provide a higher value for money. 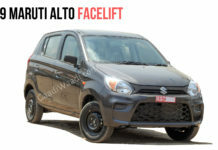 Hence, this means that the new model from Tata Motors could be a worthy alternative to all those Jeep Compass buyers that want a fresher model that offers maximum bang for the buck. The Harrier’s JLR-based platform and lower price, along with the FCA-sourced 2.0-litre engine, should make it come across as a better value for money than the Compass. 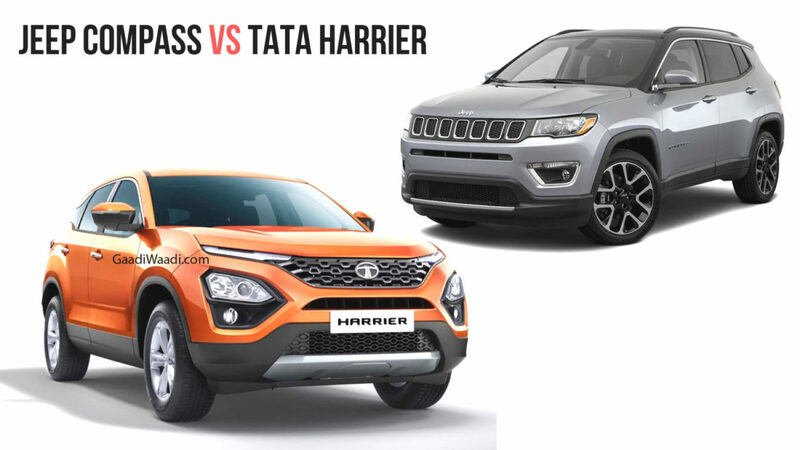 The upcoming model easily wins the first round of our Tata Harrier vs Jeep Compass comparison. 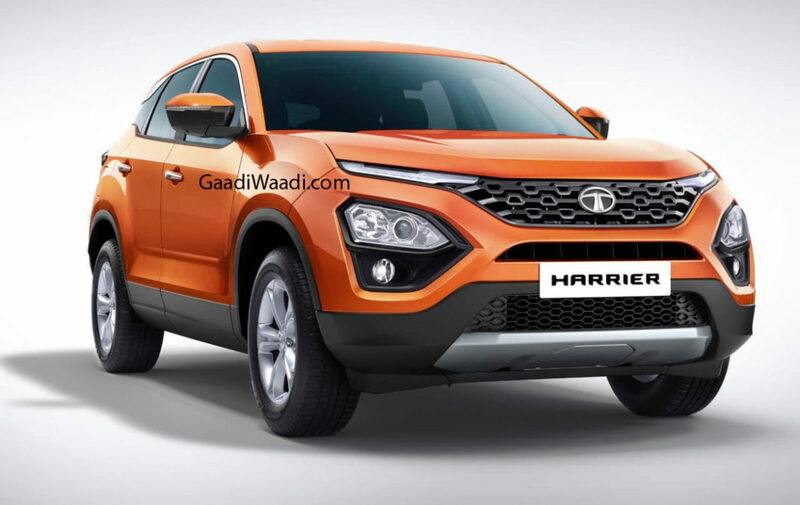 The Tata Harrier will launch in only diesel variant. 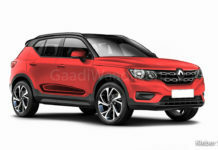 The new model will draw its power from a Fiat-sourced 2.0-litre Multijet II turbocharged diesel engine that also powers the Jeep Compass. For the Harrier, however, it will have a lower maximum power of 140 PS along with the same torque output of 350 Nm. The new flagship from Tata Motors will be available with a 6-speed manual and a 6-speed automatic transmission. A highlight of the Tata Harrier is its OMEGA ARC platform, which has been derived from Jaguar Land Rover’s D8 platform used for the Discovery Sport. This should ensure that the Harrier offers world-class dynamics and ride quality. The Jeep Compass is powered by the same 2.0-litre Multijet II diesel engine that will power the Harrier. 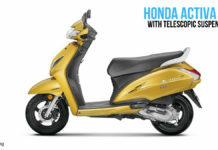 However, it offers a higher power of 170 PS along with the same peak torque of 350 Nm. While the Harrier will be sold with a 6-speed manual and a 6-speed automatic transmission, the Compass is currently available with a 6-speed manual gearbox only. The new Tata flagship will be available in 2WD configuration only, while the Compass offers 4WD on top-spec diesel variant. 4WD-equipped cars don’t have a very high demand, but the Compass does hold an advantage here. Another factor working in favour of the most affordable Jeep product in India is its 1.4-litre turbocharged petrol engine. The Harrier will be sold in a diesel variant only, which means all those who wish to opt for the refinement and smoothness of a petrol engine over a diesel motor will naturally opt for the Compass. 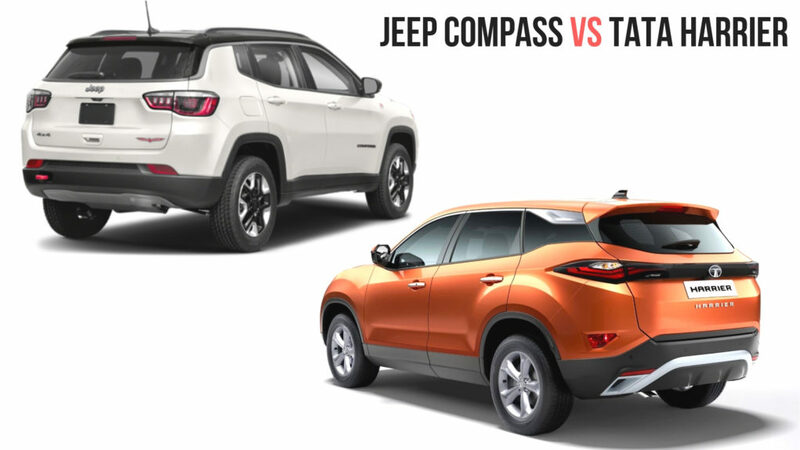 If we put the price difference away for a moment, it’s clear that the FCA’s SUV is the winner of this part of our Tata Harrier vs Jeep Compass comparison. Among the two, it’s the Jeep Compass that’s available in both petrol and diesel versions. The petrol model of the most affordable Jeep SUV in India offers an ARAI-rated mileage of 16 kmpl with both manual and automatic transmissions. The diesel version, on the other hand, offers a maximum power of 17.1 kmpl. The Tata Harrier features the same diesel engine as its FCA-made rival. However, it’s engine has been tuned to output a slightly lower output, which means you can safely expect the Tata SUV to offer a slightly higher power output. 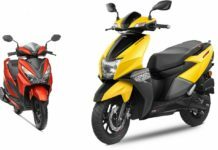 The manual version of the production-spec H5X should offer at least 18 kmpl while its automatic version should have an ARAI-tested mileage of at least 17 kmpl. Dimensions of the Tata Harrier are yet to be revealed, but we can have a fair idea of the size by looking at the measurements of the H5X concept that was showcased at the Auto Expo 2018. The show car had an overall length of 4,575 mm, which is much more than what the Compass offers. However, we’re pretty sure the production version will not be so long. Still, it’s quite early to pass on a verdict in this aspect. 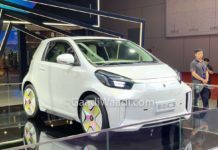 For the record, the concept model had a wheelbase of 2,740 mm and a ground clearance of 200 mm. The Jeep Compass, on the other hand, is shorter than the H5X concept. While the Harrier might not be as long, it could still hold an advantage over the Compass in this aspect. It has a width of 1,818 mm along with an overall height of 1,640 mm. Its wheelbase measures 2,700 mm and the SUV benefits from 200 mm of ground clearance. Price – One thing is clear, the Tata Harrier will hold a definite price advantage over the Compass. While the latter offers 4WD and some additional equipment, it still won’t be as high value as the new Tata flagship. Hence, the Harrier comes across as the clear winner. 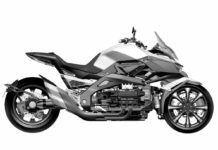 Specs – The Harrier will have a JLR D8-based platform and a Fiat-sourced 2.0-litre Multijet II engine that has been re-branded as Kryotec by Tata Motors. But the Compass has an advantage as it offers a higher power output, a petrol engine option, and even 4WD. 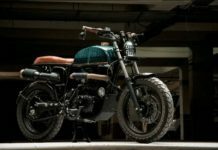 Mileage – The Harrier and the Compass will use the same diesel engine. 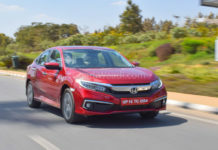 However, the former is likely to offer a better mileage as its engine has been tuned to output a slightly lower maximum power. Dimensions – The measurements of the Harrier are yet to be revealed, and hence, it would be a bit early to pass on a verdict on this aspect. 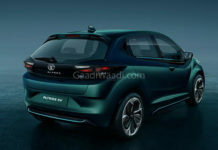 However, the new Tata flagship could have an edge over its rival if it’s anywhere as big as the H5X concept. From this, it gets clear that the new kid on the block, the production-spec Tata H5X SUV, is definitely the clear winner of our Tata Harrier vs Jeep Compass comparison review.